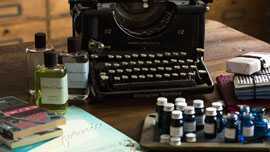 At first, its icy olfactory notes might make you freeze. For a few seconds, it will feel as if a cold wind is cutting through your thin jacket. Or as if a quick cool stare is fixed on you. But soon afterwards, fruity scents will break free and wrap you in a warm embrace. With its dominant citrus fragrance, the mandarin and vetiver perfume Mandarine Glaciale created by Atelier Cologne casts an unforgettable spell on anyone who smells its seductive scent. 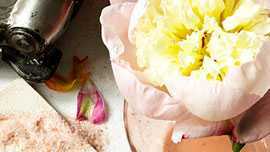 The perfume ingredients include mandarin from Italy, ginger and vetiver from Haiti. An intriguing freshness bottled up in a unisex perfume! The formula of the Mandarine Glaciale perfume is made from 88% renewable natural origin ingredients of the highest quality. Such a wonderful fragrance that I could wear it anytime. The blend of orange, ginger, and vetiver is a winning combination. 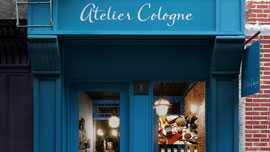 It lasts all day which is the hallmark of the Atelier Cologne experience. The idea of citrus in an eau de parfum style is amazing. I have fallen in love with this scent! I received a sample of this with my Sephora purchase and since then, this is my summer scent. Love the tangy mandarin right off the bat and it sticks with me throughout the day. I've gotten many compliments on it. Will definitely continue using it.